Note from Bivol’s editorial desk: For several weeks now, Bivol has been member of OCCRP, the international project of reporters writing about corruption and organized crime. The investigation in the “Boeing” that crashed in Kazan, published on our website on November 18th, is our first contribution to this major project. We appreciate the recognition of our work from OCCRP colleagues, and in particular, from the authoritative Russian newspaper “Novaya Gazetta,” where Anna Politkovskaya worked. On Sunday, a Boeing of Tatarstan Airlines crashed in Russia’s Kazan. The crash killed all 50 passengers and crew onboard. Irek Minnikhanov, son of Tatarstan President Rustam Minnikhanov, and Alexander Antonov, who headed the Tatarstan branch of the Federal Security Service, were among the victims. The Investigative Committee of Russia launched a criminal probe, while, according to RIA “Novosti,” documentation has been seized from the offices of Tatarstan airlines: investigators probe how the plane was operated and serviced and how it ended up in the Tatar airline fleet. On Monday, the Bulgarian Center for Investigative Journalism, Bivol, announced that the Boeing, which nosedived in Kazan, is linked to the structures of one of the most influential groups in Bulgaria, which were also co-owners of Tatarstan airlines. “Novaya Gazetta,” together with the Organized Crime and Corruption Reporting Project (OCCRP), decided to check the story and the owners of the crashed plane. Where did the craft come from? Tatarstan airline began using the Boeings in 2008, under the terms of an operating lease. As stated in the explanatory note, attached to the annual financial statements of the airline for 2008, the operational leasing contracts have been signed with Bulgarian flag career Bulgaria Air. The aircraft lease was the beginning of large-scale partnership of the Bulgarian investors with the Tatar carrier. At the end of March 2008, Ivo Kamenov, Executive Director of the Bulgarian Holding “Himimport” (of which Bulgaria Air is an affiliate) met with then President of the Republic of Tatarstan, Mintimer Shaimiev. After the meeting, Kamenov reported before media that an agreement has been reached where the Bulgarian holding company was to invest 70 million US dollars in the reconstruction of the airport in Kazan and in the renewal of the fleet of Tatarstan airlines. “Regarding the airline, our obligations include replacing the old Soviet equipment with new within one year, with at least ten Boeing aircrafts,” said Ivo Kamenov then, (quoted by the newspaper “Expert”). But instead of new equipment, “Tatarstan” airlines received from Bulgarian investors “secondhand” Boeings, operated and used for many years (the aircraft that crashed in Kazan was 23-years-old). The so-delivered Boeings almost immediately caused the discontent of the Tatarstan airlines’ trade union. In March 2009, the online business newspaper of Tatarstan, “Business Online,” published an open letter from the trade union to President, Mintimer Shaimiev, describing the problems of the airline. 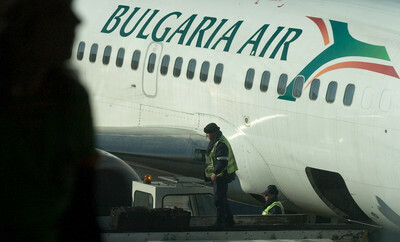 “Company economists name as one of the main sources of financial problems the need to secure lease payments for the Boeing 737 aircraft, obtained from the Bulgarian company “Himimport.” Under the terms of the contracts, the payments consist of about 150-160 thousand US dollars a month and about 100 thousand dollars for spare parts, i.e. in order for the aircraft to not incur losses for the company, it has to log no less than 250 flight hours with passengers a month,” said the letter. These indicative figures, announced by the trade union, are confirmed by reports of the Bulgarian Holding “Himimport” – according to data from 2009, the lease of the aircraft, which crashed in Kazan, cost Tatarstan airlines 140 000 US dollars a month. However, the term of the lease, according to “Himimport’s” accounts, expired in March 2013. Tatarstan airlines confirmed for “Novaya Gazetta” that relations with Bulgaria Air have ended in March 2013, but refused to name the new lessor. Excerpt copy from the annual financial statements of “Himimport” from 2009; the crashed Boeing is listed with VIN number is VQBBN. The representative of Bulgaria Air, Rumyana Jeleva, reported for “Novaya Gazetta” that the lease contract expired in March 2013, and suggested that Tatarstan airlines could have sealed a new contract for leasing with the company Ansett Worldwide Aviation Ireland Ltd (a British offshore firm and initial owner of the aircraft). For several years, the structures associated with “Himimport” holding, remained co-owners of Tatarstan airlines. The companies of the Bulgarian holding controlled 50% in “Tat Aero,” which in turn owns Tatarstan airlines. However, in December 2012, Tatarstan airlines bought the share of Bulgarian investors in “Tat-Aero” for 363 million rubles (about 12 million US dollars, translator’s note), (the data comes from the accounting reports of the airline for 2012). Rumyana Jeleva also announced for “Novaya” that since December 2011, “the effective management of the company has passed into the hands of a new administration and the future local shareholder, appointed by the Republic of Tatarstan.” Jeleva noted that the ill-fated Boeing has been operating in Bulgaria for about eight months in 2008 and there were no problems whatsoever with this aircraft. “Here in Bulgaria we all – aviation experts – are shocked by what happened and express deep condolences to the relatives of those killed in the plane crash; we feel the pain of our colleagues and friends,” said Jeleva. Ivo Kamenov, the key co-owner of “Himimport” holding, is a sufficiently famous person in Bulgaria and across the world. Not only Bulgarian media, but US diplomats, in secret cables published by WikiLeaks, have written in detail about the business of Kamenov and his partners. ” The up-and-coming star of Bulgarian organized crime,” this is how US diplomats have called the Varna-based group TIM, which, as they wrote in the cables, was named after the initials of its three leaders – Tihomir Ivanov, Ivo Kamenov and Marin Velikov. “The New Leader in Bulgarian OC, founded in Varna in 1993, TIM is thought to have been set up by about ten former marines who had been part of an elite military unit before it was disbanded in the early 1990s. As an organized crime group, TIM is involved in a wide range of criminal activities, including extortion and racketeering, intimidation, prostitution, gambling, narcotics trafficking, car theft, and trafficking in stolen automobiles,” is written in the cables published by WikiLeaks. Their business gradually grew and soon Kamenov and his partners become co-owners of multiple assets in Bulgaria and other countries. “TIM controls some of the largest quarries of inert materials in Bulgaria, and through its trading company, CHIMIMPORT (Himimport – editor’s note), it also has a significant share of the production and trade in fertilizers, petroleum products, and chemicals. TIM’s takeover of CENTRAL COOPERATIVE BANK (CCB), the group’s largest acquisition to date, was facilitated through Chimimport,” say the WikiLeaks cables. Renowned Bulgarian businessman, Ivo Kamenov, seems to have influential partners in Russia. As reported by the Bulgarian Center for Investigative Journalism, Bivol, Ivo Kamenov apparently has very friendly relations with former Russian Minister of Natural Resources, Yuri Trutnev, who was adviser to President Putin, and also Deputy Prime Minister. Trutnev and Kamenov are both fond of martial arts: Trutnev is the Head of the Presidential Council of the Russian Branch of the World Union of Kyokushin Karate Style, while Kamenov leads the Bulgarian Kyokushin Karate Federation. However, along with the sport, their families may be linked through joint business interests. In particular, the son of the Deputy Prime Minister, Dmitry Trutnev, has representation in many companies belonging to “Himimport” holding. Photo: Former Minister and current adviser to Putin, Yuri Trutnev (center, with blue tie) and Ivo Kamenov from TIM (center, in black jacket and turtleneck) are cofounders of Kyokushin World Union, (the picture was published in an article of Bivol from April 25, 2012). Bulgarian Central Cooperative Bank owns 56% stake in Kazan’s TatInvestBank, where Dmitry Trutnev is a member of the Board of Directors. Along with this, the Bulgarian Holding “Himimport” has another important asset in Tatarstan – the insurance company “Itil,” where Trutnev Jr. is also a Board member. Dmitry Trutnev so far has not responded to the questions of “Novaya Gazetta,” submitted to him through associates of TatInvestBank. PS “Novaya Gazeta” is ready to provide all business entities and persons, mentioned in the publication, with the possibility to make follow-up comments.